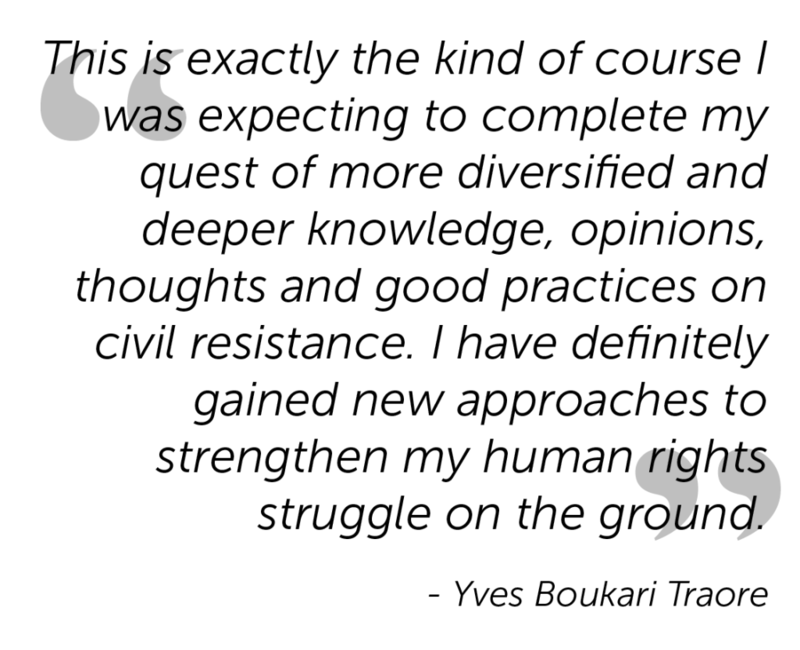 ICNC offered a moderated online course on civil resistance in partnership with the International Institute for Peace at Rutgers University Graduate School, which took place from October 9 to November 17, 2015. ICNC received 142 applications and accepted 62 participants. The selected participants came from 26 countries, and included activists and organizers, international development and human rights professionals, journalists, educators, and students. Six ICNC staff members moderated various discussion forums in the online course, adding significant value to the overall educational experience. The course moderators included: Dr. Maciej Bartkowski, Shaazka Beyerle, Althea Middleton-Detzner, Amber French, Katherine Hughes-Fraitekh. The course administrators were David Reinbold and Cathy Smith. 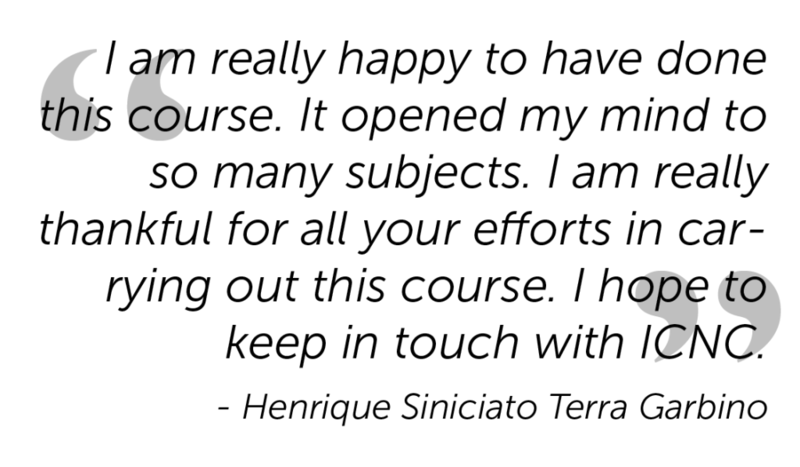 Check what participants thought about the course moderation. In addition to the interventions in the discussion forums, course moderators provided weekly summaries from the forum discussions in a particular module, highlighting key points made, debates taking place and core information that was shared. 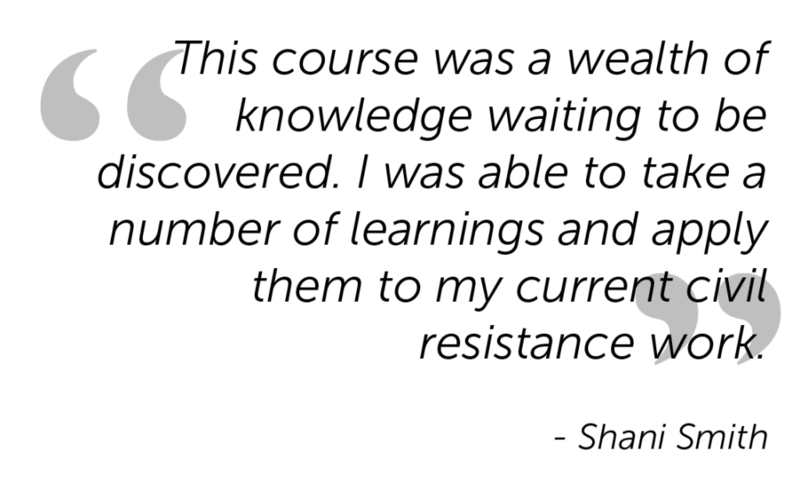 The online course consisted of an introduction and six thematic modules. Each thematic module was released at the beginning of the week and the participants and moderators would engage in different forums of the module throughout the week. A detailed course outline is provided below. 12. Where do you plan to apply the knowledge from this course?